In the history of American aviation, a special chapter should be given to the story of the Lockheed Corporation. The most fascinating section of that chapter should be titled after the Skunk Works Advanced Development Programs Group. 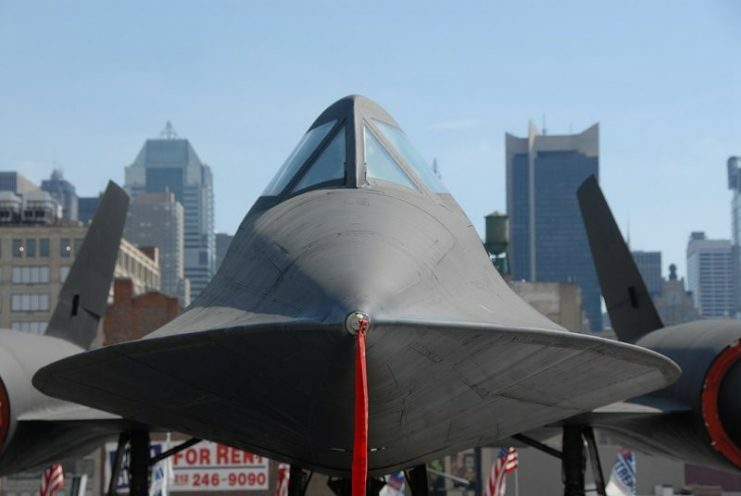 This corporation division, run by some of the greatest aeronautical engineers in the world, was the birthplace of numerous intriguing aircraft designs that have marked the history of U.S. Air Force. 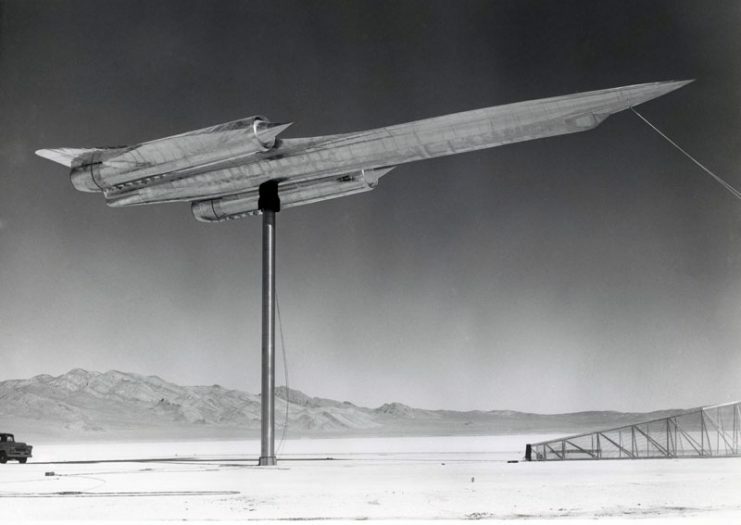 One such project was the notorious SR-71 “Blackbird” long range reconnaissance aircraft. Famous for its distinctive shape, the Blackbird also holds the record for the highest speed and the highest flying altitude of an operational manned aircraft. That record is still unbeaten. 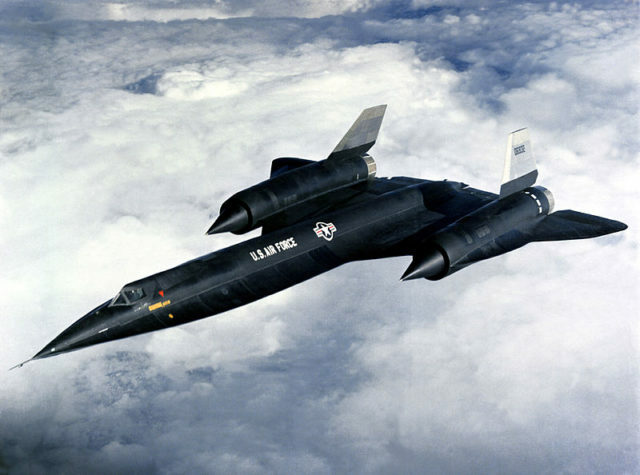 The SR-71 was actually a built-up version of the earlier Lockheed A-12, a reconnaissance plane made in the early 1960’s to replace the U-2 spy plane. During the Cold War, both SR-71s and A-12s were the CIA’s striking force in obtaining important data from rival countries. The value of these aircraft was immense as their performance made them impossible to intercept in the air or to shoot down from the ground. The former flew until the end of 1960’s and the latter until the very last end of Cold War. 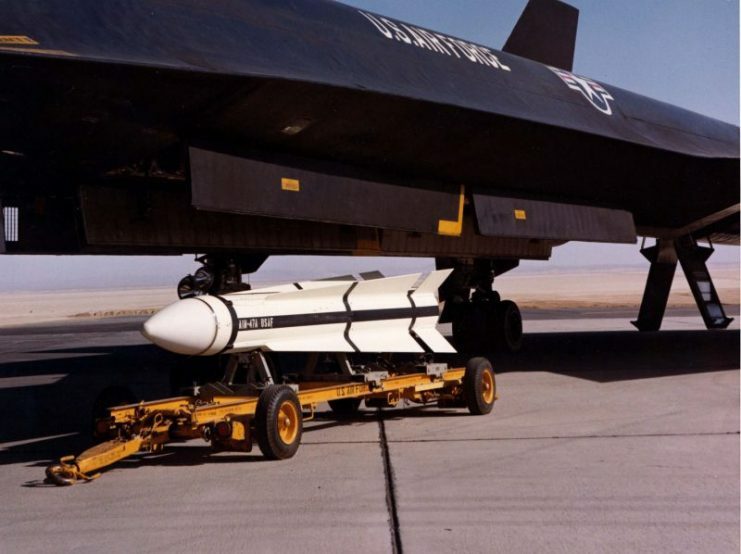 In the shadow of these two, however, was a little known Skunk Works project: the largest ever interceptor made on the same platform as the “Blackbird.” That was the YF-12. By 1950’s air defense doctrine, fast interceptor aircraft were used to fight off potential Soviet bomber attacks. Despite the significant role they had in the defense system, the development of interceptors was very slow. An entire generation of interceptors from the 1950’s became obsolete once the Soviets started to build supersonic tactical bombers. An attempt to build the F-108 Rapier, an interceptor that could match the Soviet threat, ended up in scrap. Air Defense Command needed to build an interceptor fast enough to parry the Soviet bombers–one that would be able to intercept the threat before it even reached the territory of the United States. The answer to that problem was given by the chief of the Skunk Works, Clarence Leonard “Kelly” Johnson. 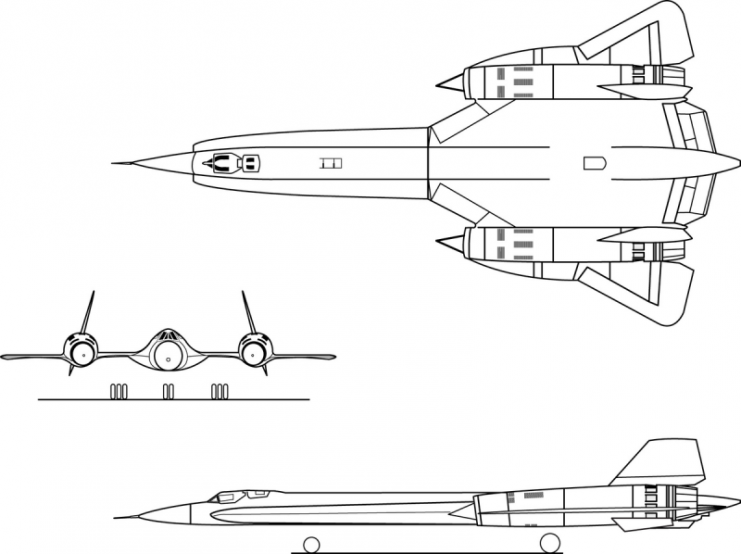 What Johnson proposed to the Air Force was to redesign the A-12 by adding missiles and a proper radar guided firing system. The result would be an interceptor that could exceed Mach 3 speed and would have greater locating capabilities than any other interceptor. Johnson believed that a fleet of 93 such aircraft would be sufficient enough to protect North America from most expected Soviet threats. The proposed design would not only be better than any other existing, but also be an enormous leap forward in the development of interceptor aircraft. In October 1961 the Air Force agreed on giving $1 million to Lockheed to commence Project Kedlock. The goal of the project was to build three prototype AF-12 interceptors. Numbers 7, 8 and 9 A-12 airframes were taken to be modified in Skunk Works facilities in Palmdale, California. 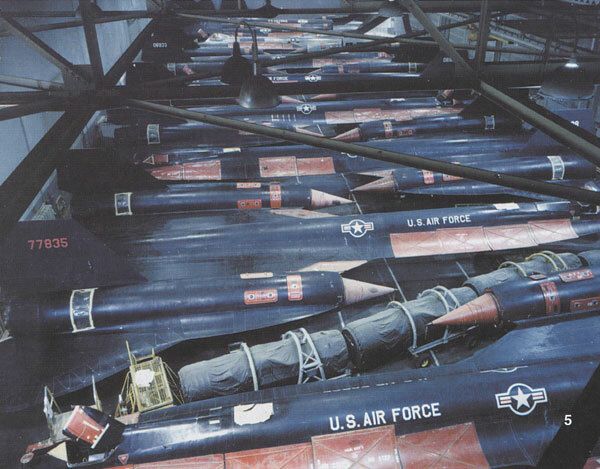 A-12s in storage at Palmdale. The first challenge of the modification project was to make design changes to match the performance of an interceptor. In mid-1961 the first mockup was made and put before Air Defense Command representatives for inspection. After they were pleased with what they saw, Skunk Works engineers continued with their work. On August 3, 1963 the Air Force finally approved the funding for the rest of the project. Only four days later, the first AF-12 was flown. 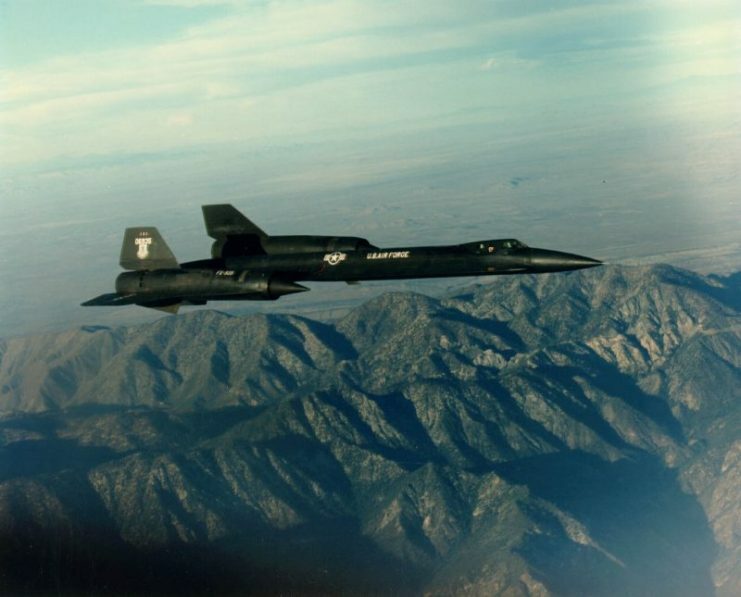 Even though Skunk Works needed less than two years to transform the reconnaissance aircraft into an interceptor, the task was everything but easy. 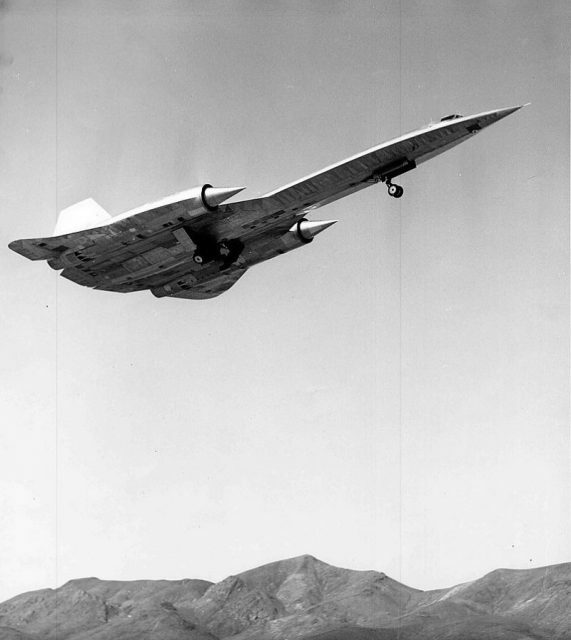 A-12 piloted by Louis Schalk takes off from Groom Lake in 1962. The AF-12 was in essence an A-12 with some cuts and additions. The aircraft was powered by two Pratt & Whitney JT11D-20 (military designation J58) jet engines with afterburners. Each of these delivered 31,500 pound-force, allowing the AF-12 to reach speeds exceeding Mach 3 and altitudes of up to 80,000 ft.
Because of the nature of the aircraft, the AF-12 required some changes to its fuselage shape. The first change was the addition of a second cockpit for the radar officer just behind the pilot’s cockpit. The pilot’s cockpit was a little bit higher for better visibility. This addition gave the AF-12 a distinctive bulge which made it stand out among all other Blackbirds. Another change was made because of the AF-12’s larger nose that housed the firing system. In order to reduce the radar cross section, distinctive A-12 chines were cut down to the nose break. This change, however, increased directional instability of the aircraft, especially at high speeds. In order to solve this problem three ventral fins were added at the back of the fuselage. Two were positioned below the engines and one was mounted on the center of the fuselage. The central fin was foldable for ground clearance. Head-on view of a Lockheed A-12 on the flight deck of the Intrepid Sea, Air & Space Museum in New York City. The greatest modification was the addition of a firing system, which consisted of the Hughes AN/ASG-18 fire control system and three Hughes GAR-9/AIM-47 missiles. This fire control system was taken by Skunk Works from the unsuccessful F-108 Rapier project. It consisted of the ASG-18 Pulse-Doppler radar and two infrared search and track sensors. 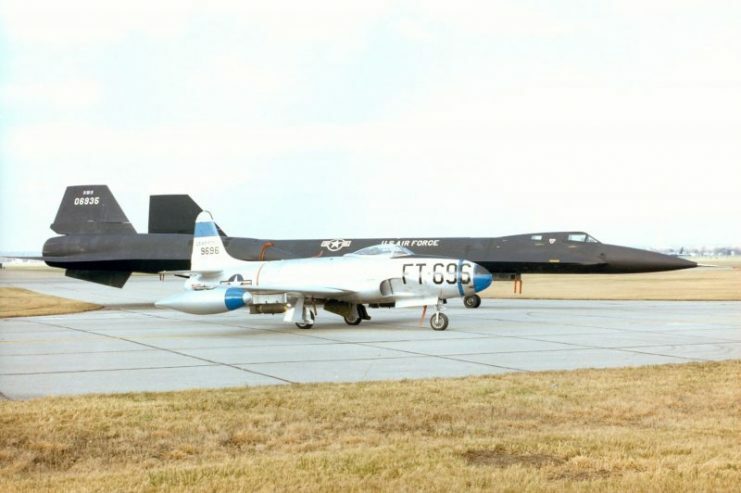 With this combination, the AF-12 was able to locate and track bombers at a range of 100 miles with great accuracy. This feature provided searching capabilities far greater than that on any other aircraft. An AIM-47A waiting to be loaded aboard a YF-12. ASG-18 radar systems were developed in Uthe nited States in the second half of the 1950’s. It was the first Pulse-Doppler radar made in the country. It was also the first radar that was able to scan an area and track a target at the same time. Even though it was able to track only one target at a time due to computer limitations, it was still far better than any other radar of that time. The size of the radar was pretty big. The whole system weighed 2,100 lb and with a 40-inch antenna, it needed a lot of space. In order to properly house it, the AF-12 had an elongated radome made of a special kind of material. This special plastic could sustain high temperatures of almost 400 degrees. ASG-18 radar was also distinctive for the great power it had: a maximum of 12 kilowatts. 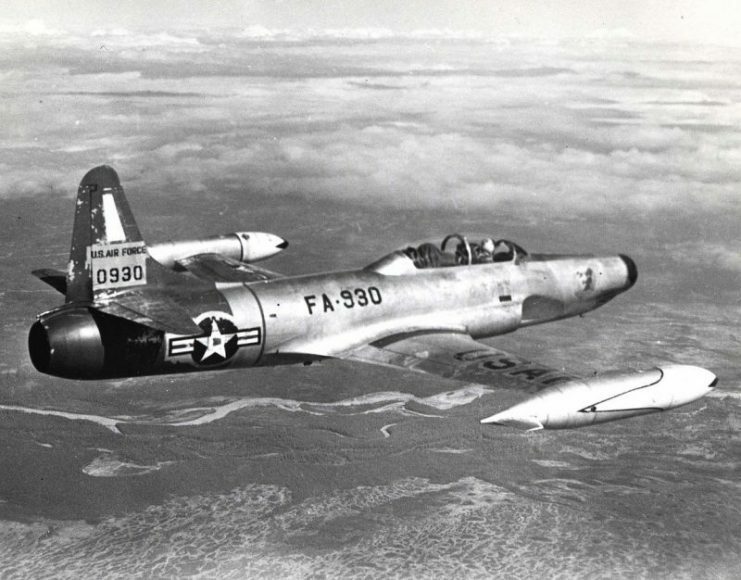 By contrast, the power of the E-1 system on Lockheed’s F-94 was only 16 watts – 750 times weaker. In order to demonstrate the power of the radar and the danger of being in the vicinity while it was turned on, Hughes engineers made a little demonstration for Lockheed mechanics. They put a sheet of plywood in front of the radar unit and turned it on. The radiation from the antenna was so strong that it set the plywood on fire in just a few minutes. The firing system was in control of AIM-47 missiles. These were 12.5 feet long each and had a maximum speed of Mach 4. The maximum range of an AIM-47 was 125 miles, but it was never fired at such distances. The missiles on the AF-12 were armed with 100 pounds of conventional explosive, even though there were ideas to use nuclear warheads. Each aircraft had a capacity of three missiles. The firing system was controlled by two computers. One was a digital computer for navigation and firing, while the other was analog and used for steering. Orthographically projected diagram of the Lockheed YF-12. The entire production of the AF-12 was carried out in Lockheed facilities under the complete veil of secrecy. Once the first prototype, number 1001, was finished, it was disassembled and transferred by trucks to the Groom Lake Test Facility, also known as the Area 51. 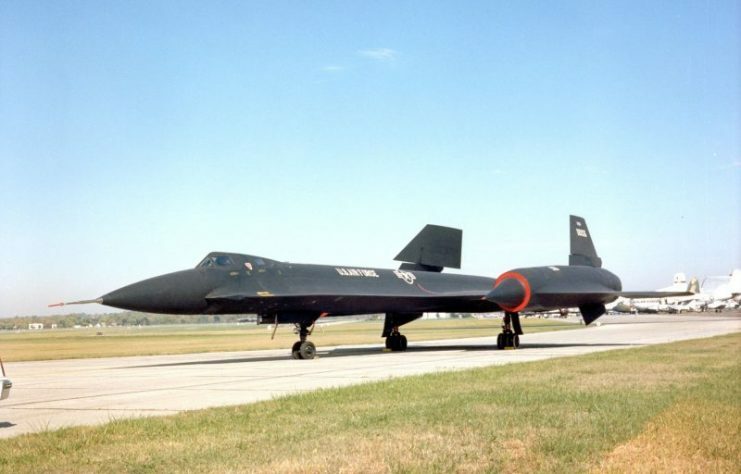 There it was re-assembled and on August 7, 1963 test pilot James Eastham made the first flight with the aircraft, now officially designated as YF-12A. Soon after, in February 1964, U.S. President Lyndon Johnson announced the existence of the “A-11” as the most powerful interceptor. As the veil of secrecy was drawn off a bit, Air Force decided to move the planes number 1001 and 1002 to the Edwards Air Force Base in California in order to conduct official trials. The purpose of the first trials at Edwards AFB was to find a proper solution on how to fire a missile from an aircraft flying at Mach 3 speeds. This was a problem that no one has faced before. 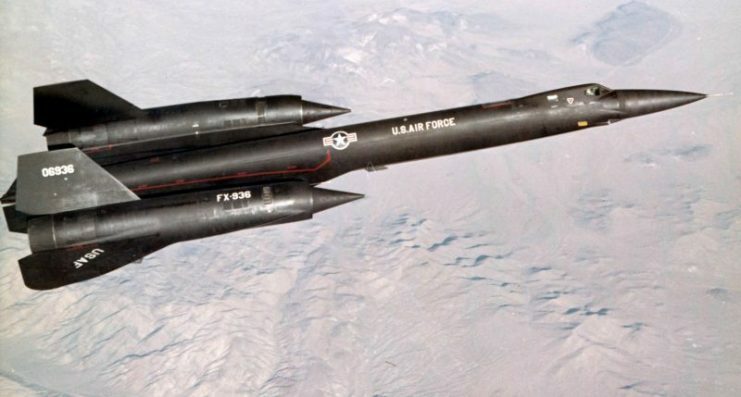 On April 16, 1964 the first unarmed XAIM-47 missile was dropped from the YF-12A. Even though the missile had an awkward and dangerous angle when it was dropped, the trial showed that the feat was possible. For more than a year Skunk Works worked on the issue. Finally, on September 9, 1965 YF-12A number 1001 successfully fired an AIM-47 missile while flying at Mach 3.2 at the height of 75,000 feet. The target drone was 36 miles away, flying at an altitude of 40,000 feet. The missile came within a distance of 6 feet 6 inches from the target. It was a pretty good shot. The successful missile launch encouraged military authorities to continue investing in the program. In order to test the firing system in a more complex situation, YF-12A 1001 and 1003 were sent to Eglin Air Force Base in Florida on April 25, 1966. Flying at the same height and speed as before, Jim Eastham fired an unarmed missile against a JQB-47 bomber flying at the altitude of 15,000 feet. This time it was a direct hit, passing through target’s horizontal stabilizer. In trials that lasted for six months, YF-12As were successful on six out of seven occasions. 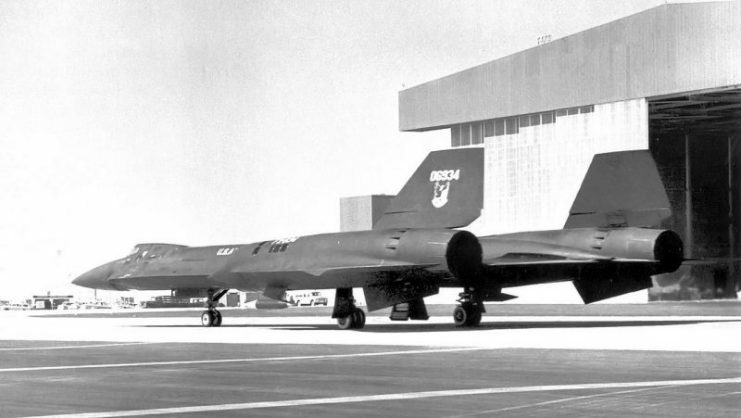 During numerous test flights, all three YF-12As were breaking numerous speed records. Since the entire project was designated as top-secret, all of these were unofficial. That is, until President Lyndon Johnson announced the existence of the YF-12. On January 9, 1965 Jim Eastham took the YF-12 to the Mach 3.23 speed, sustaining the Mach 3.2 for five minutes. On another occasion, on May 1, 1965, the 1001 and 1003 were set to break several world records for speed. Records broken were: Sustained altitude of 80,257.65 feet, speed over 2,070.101 mph closed course, speed over 1,643.042 mph closed course, and speed over 1,688.893 mph closed course. The interesting thing was that the records were far from the maximum capabilities of the aircraft. All of these records were broken in 1976 by the SR-71A. After the first successful missile launch in 1965, the Air Force decided to push the project to the end. The YF-12A was to be modified by changing the radome and adding smaller chines. These would improve the stability of the aircraft and would make ventral fins unnecessary. The final operational configuration carried the designation F-12B. Even though the project turned out to be quite successful, it also proved to be very expensive and the Air Force was running low on money. The Secretary of Defense in particular saw the project as too expensive, especially since the entire Air Defense system that anticipated the use of F-12B was to be canceled. Lockheed YF-12A 60-6934 in Air Defense Command markings 1963. Short on money, the Air Force decided by August 1967 to withdraw all three aircraft to Edwards AFB. At Lockheed, Kelly Johnson reassigned more than half of the test team to other projects. On January 5, 1968 the F-12B program was officially shut down by the Air Force. The same happened to the YF-12A program on February 1. Next, the Air Force ordered Lockheed to cut all YF-12A and SR-71 production tools into scrap. The huge jigs that were used to produce the fastest aircraft on the planet were sold as scrap for 7 cents per pound. 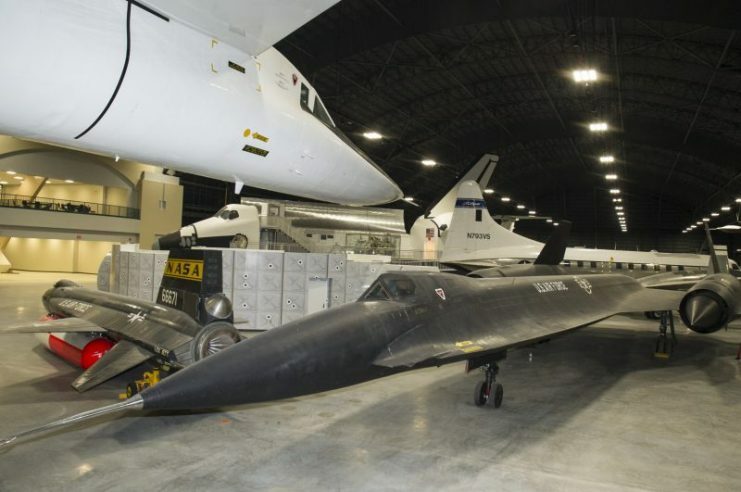 Even before the program was canceled, NASA showed some interest in Blackbirds. 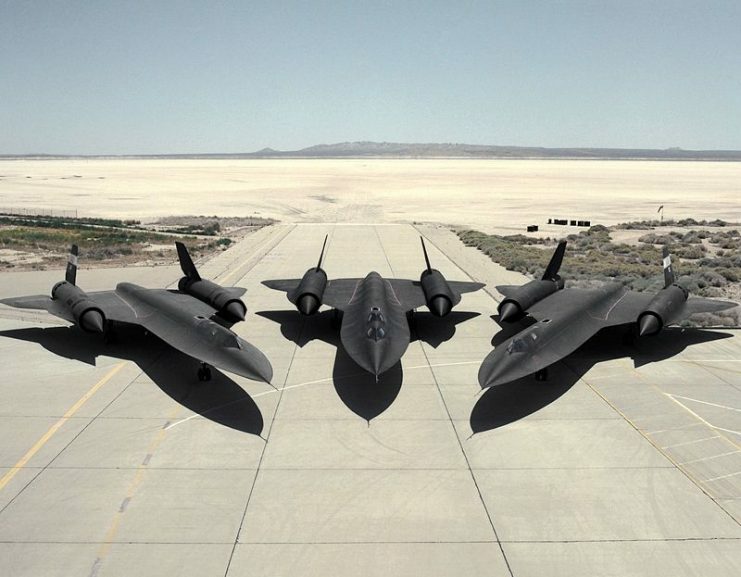 After the project ended, NASA approached the Air Force asking for two SR-71s. 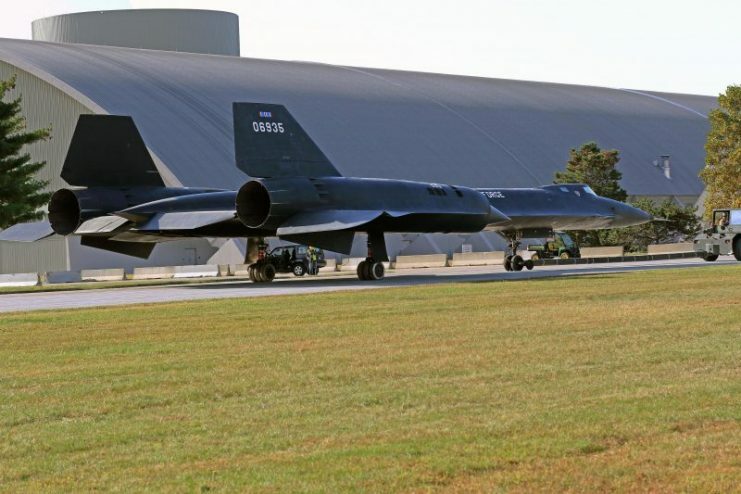 The request was partially rejected, since the Air Force offered NASA two YF-12As instead. As the entire deal progressed two YF-12As, numbers 1002 and 1003, were transferred to NASA. After number 1003 crashed due to a fire, it was replaced with an SR-71. As a matter of secrecy the aircraft carried the designation YF-12C. Until 1977, NASA carried out a series of tests by flying Blackbirds on an average of once per week. Most of the flights were above Mach 3 speeds. With such a pace, the yearly cost of the entire program was more than $3 million, which was a big burden for NASA. In the spring of 1977, NASA decided to return both aircraft to the Air Force. 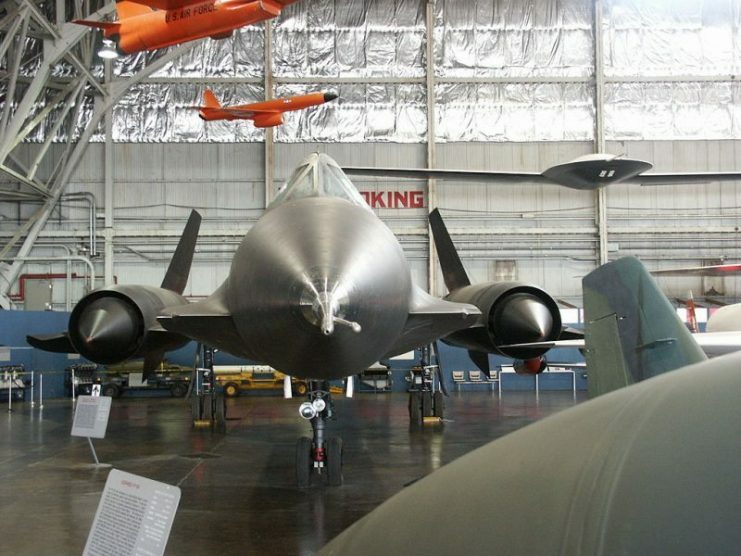 The YF-12C/SR-71 was flown back to Palmdale, while the last YF-12A ended up in the Air Force Museum. 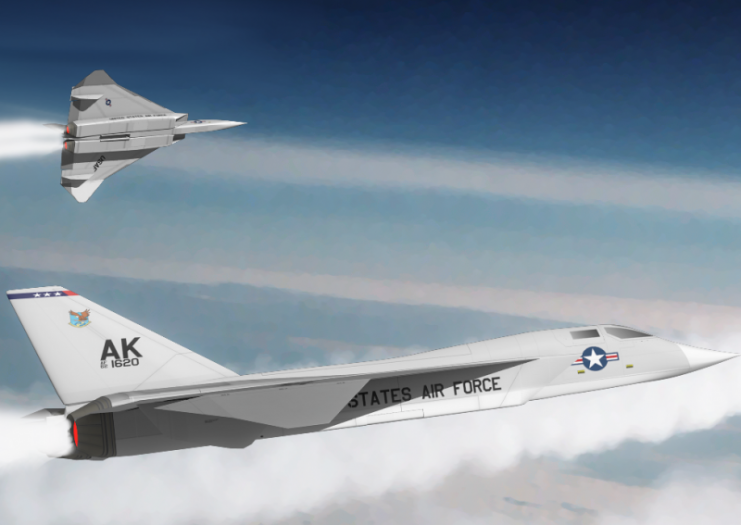 On November 7, 1979 it flew for the very last time, putting an end to operations of the first Mach 3+ fighter aircraft.